If I Drink Salt Water Will My Blood Pressure Go Up? Ingesting large amounts of sodium can lead to hypertension, or high blood pressure. Because hypertension can cause kidney and heart damage, it is important to limit the amount of sodium in your diet, especially if you already have high blood pressure or are at risk of developing the condition. However, drinking water with salt added, such as softened water, won't likely raise your blood pressure. When you ingest more salt than you need, your body begins to retain water in an effort to wash the salt out of itself. The extra water accumulates in body tissues and raises the volume of blood in your body, explains the American Association of Kidney Patients. This extra volume puts pressure on your blood vessels. This extra pressure causes high blood pressure in some cases, especially if your blood pressure was higher than normal to begin with, or if you have other hypertension risk factors, such as kidney disease, heart disease or obesity. Some water softeners remove the hard minerals in tap water and replace them with sodium ions. 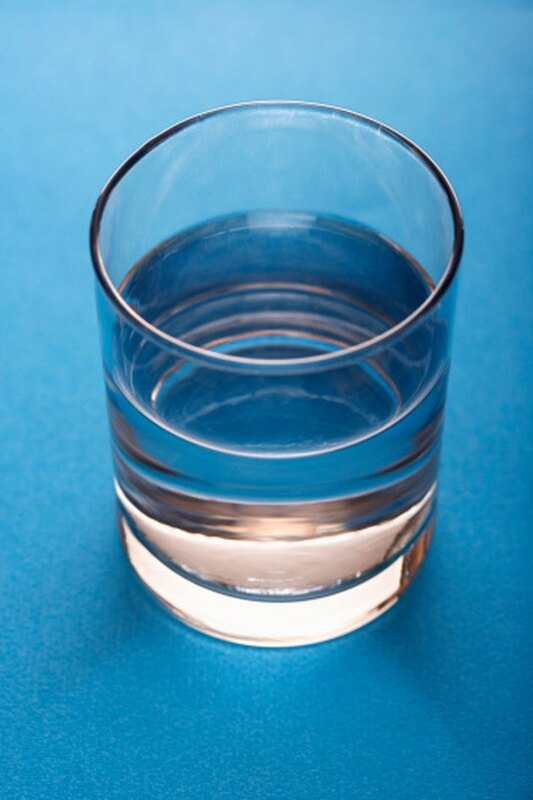 According to Dr. Sheldon G. Sheps of MayoClinic.com, this adds only about 12.5mg sodium to each glass of water, which is a very small amount, and probably will not raise your blood pressure. If you have high blood pressure already and are concerned, however, you could test the sodium level in your treated water to see how much extra sodium you are consuming. Dr. Sheps also recommends switching to a different kind of water softener, or softening only the hot water and drinking only the cold, unsoftened water. Since water is unlikely to be a significant enough source of sodium to raise your blood pressure, look for other ways to reduce the sodium in your diet if you are at risk of developing hypertension. According to the Centers for Disease Control and Prevention, you should consume less than 2,300mg of sodium if you do not have high blood pressure risk factors, and less than 1,500mg if you do. Avoiding packaged, processed and restaurant foods can drastically reduce your sodium intake. The CDC recommends following the DASH diet, which focuses on fresh, whole foods and minimizes the consumption of processed, salty foods. There are other ways to reduce your blood pressure in addition to ingesting less salt. If you are overweight or obese, losing even 5 to 10 percent of your body weight can also lower your blood pressure. Regular exercise can also reduce your risk of developing hypertension. Reduce your alcohol and caffeine intake, and quit smoking if you currently do so. Talk to your doctor about ways to reduce your stress levels, as high stress can exacerbate high blood pressure. Do not start any diet or exercise plan before talking to your doctor, and do not discontinue taking any of your high blood pressure medications without your doctor's advice and supervision. American Association of Kidney Patients; Why Does Salt Cause High Blood Pressure? ; Stephen Z. Fadem, M.D.